In a new, dynamic world that is wide open to discovery, intellectual property reality lacks the tools to give it the kind of following necessary for it to go beyond its potential. There is still a high level of uncertainty surrounding the IP world, a reason why common standards can and will offer the expected jump forward in IP dynamics. When asked about what impact common standards would have, my thoughts jump directly to the concepts of safety and reliability. A standing rule, a common rule applicable to all agents that operate in the sector, provides a cushion against the uncertainty that often operates in IP and a necessary obstacle against the arbitrary will of the individual. One of the most dominant features in IP and its assets, is its special dynamic because IP is a culmination of the constituent parts that makes up its elements. Its assets are however, constantly changing and the question is then, how can the IP world accommodate this? 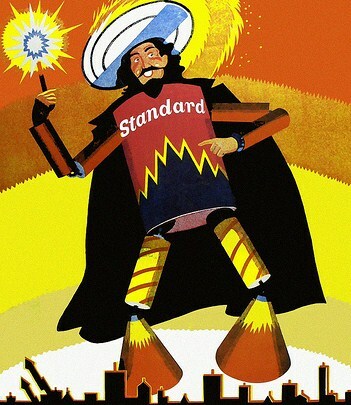 This brings us to the first point: are standards necessary in the IP world? The answer is yes. When dealing with new elements in the economy and within the economic activity of enterprises, elements such as contractual freedom achieved by the agreed price may become affected if the parties have no confidence in the real value of what they are willing to trade. The adoption of common rules and standards might ensure shared safety and reliability by necessarily allocating the trust of both parties, thus allowing a truly free decision-making process. However, the adoption of standards is no easy challenge and requires cautionary steps to be taken.. If they can serve as a tool that supports and ensures trust between the parties, thus creating a competitive market, it is not insignificant that the problems tend to occur when leaving the sphere of removing uncertainty and entering into an exaggerated control of reality. Again, we return to the question of the dynamics and volatility of IP and its assets. Clear examples of this situation are those technologies for which patents have no business relevance, until that day in which that technology explodes. All the accounting standards used to value that technology become obsolete and even absurd by the new reality that now exists. Thus, what once was worthless, may suddenly turn into gold. An additional problem associated with the standards of valuation is the lag from reality, due to an overlap which originates in the overuse of accounting concepts.What is most important in a patent? The technology within or the drawing? And in a brand? The brand itself or the associated goodwill? And if the technology within a patent has an associated brand (branded technology), does the value of the patent arise from itself or from the brand’s goodwill? And to complicate the matter just a little further, within the copyright, which aspect should be valued? The copyright itself or the different set of exploitation rights in it? There has been some tendency to consider this reality through an accounting perspective; by subtracting the dynamic and complexity from consideration. Where does this leave us? As demonstrated above, the adoption of standards should not be taken to apply without question. What is required is caution and should be taken on board in a minimal way, that is, standards should be adopted to provide safety and confidence tools between the parties only. The standard should never be able to override the ability of free agreement between the parties. What about standards on IP transfer (negotiation, agreements, etc.)? I have the same understanding: common rules should be contemplated in the Law, in just the necessary measure. The parties must be free to negotiate and achieve whatever they decide and this must be given priority. Going beyond this is to confine the behaviour of a free market, which is especially sensitive since in the current economic climate we are already talking of economic monopolies. In the real world, standards are tools of confidence and security which does not imply that it is always useful or correct. It is for this reason that standards often get reviewed, revised and updated. In the current IP momentum, with the rise of the IP markets as part of the chain of value, standards are a useful solution to a main problem: coordination. The adoption of common standards will allow all parties involved in IP transactions to realize mutual gains. But such mutual gains only happen where both parties are making mutually consistent decisions. I believe that this necessity is strongly felt as needed especially around the issues surrounding valuation of patents and copyrights. In patents, apart from excessive accounting view in which many take refuge, there is no common principle or method, and the ones currently in existence are not commonly accepted. For example, I advocate the use of methods of assessment based purely on the market, but in the sense that a patent is worth only what the market is willing to give it at that particular moment, given all the data available. But many people do not see things like that. As for copyright, the situation is even more confusing, especially in the European system. For example, I, the author, can license in the same territory the exploitation of my movie to three different individuals: theatres, television and DVD. Have we a unique IP asset? Or have we three assets? Personally, I am inclined to fall within the three assets view, simply because I think in terms of profitability of each operation by itself. Standards are needed and will be well received by the IP market and professionals within it. They provide security, trust and confidence to and between the parties. However, they can never take precedence over the free will and the functioning of the market but instead help and allow it to function freely and effectively and provide balance between the parties. Going beyond this freedom barrier will only distort the reality of IP, and inevitably pave the way for speculation and abuse of position, the result of which will damage not only the weaker parts but the entire IP market". It was a great honor! The cost of IP crime -- but how do we know? IP commercialisation: a matter of standards? The Oscar Ceremonies: Has Its Time Passed?